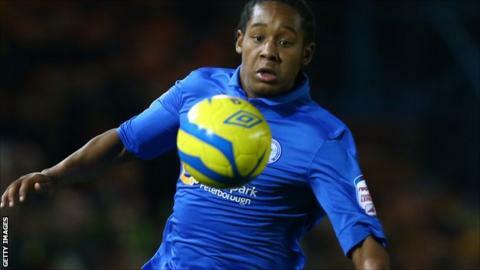 Peterborough United have turned down a bid for 17-year-old striker Jaanai Gordon from Premier League West Ham. Gordon has made three first-team appearances for Posh this season, but has spent the past three weeks training with the Hammers. West Ham made a bid for the teenager on Friday but director of football Barry Fry confirmed it had been rejected. Gordon will return to London Road and will be available for the FA Youth Cup tie at Wolves on Tuesday, 3 December.